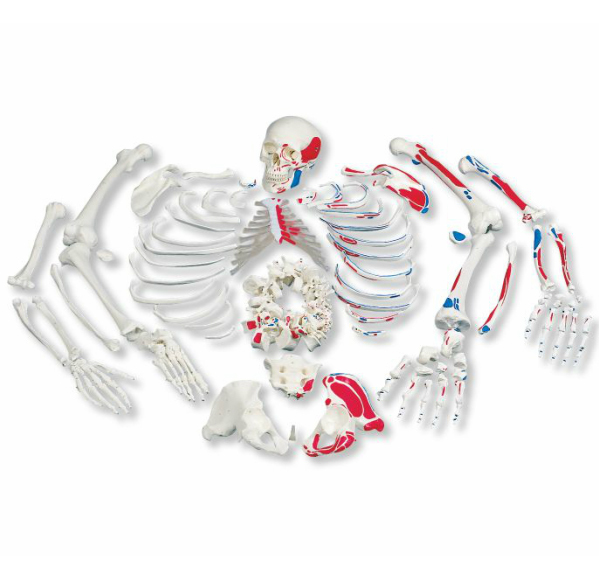 This 3B disarticulated skeleton by 3B Scientific is hand-painted and numbered to show muscle origins in red and muscle insertions in blue on the left side. The disarticulated skeleton's bones and bony structures such as fissures, foramina and processes are hand-numbered on the right side. 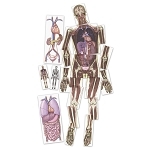 The skull is detachable into 3 parts for detailed anatomical study. 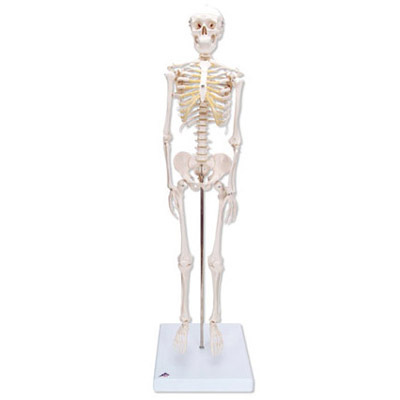 This high quality skeleton replica is great for any in depth study of the human skeleton and scientific anatomy studies. 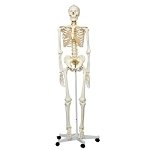 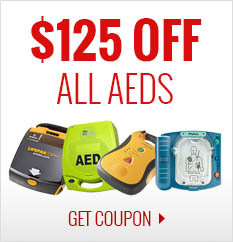 Add the disarticulated full muscle skeleton to your classroom or doctors office!